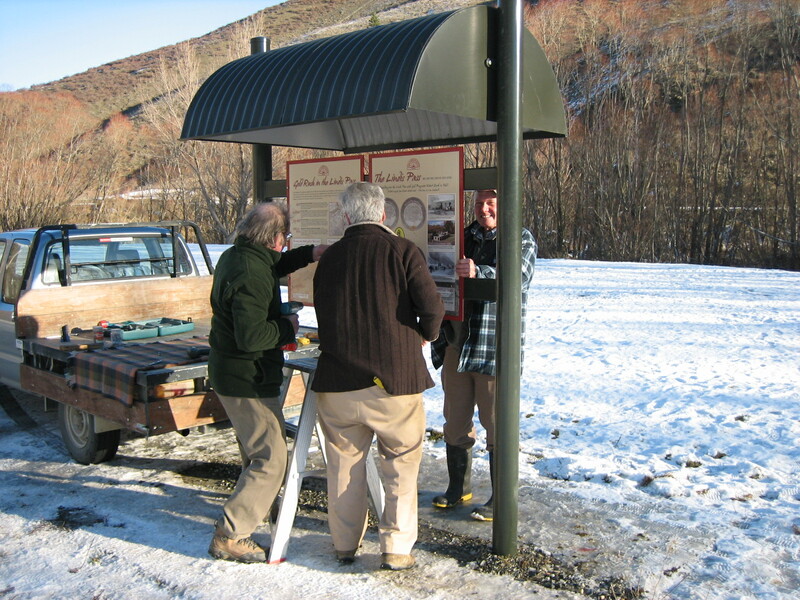 After quite some time and a lot of work from various committee members the interpretation signage kiosk in the Lindis is finally up and for all to see! To see pdf files of the panels please click here (8MB). Did you know the Lindis was, in fact, the first site of gold discovery in Otago!!? ?